Is it just me or does it not seem like recipes calling for special ingredients only need some of said ingredient and there is always a leftover that just sits in the fridge? So was the case recently with half a tub of mascarpone cheese, unneeded, unloved. Just coming home from a vacation in foodie Asheville, NC, with no time for grocery shopping, I went looking to create an inspired meal from what I had on hand, my favorite kind of cooking! Taking that lonely mascarpone, seasoning it with garlic, cutting fresh sage from the garden and adding sundried tomatoes from the pantry to chicken thighs from the freezer, we had a terrific tasty dinner in about a half hour. 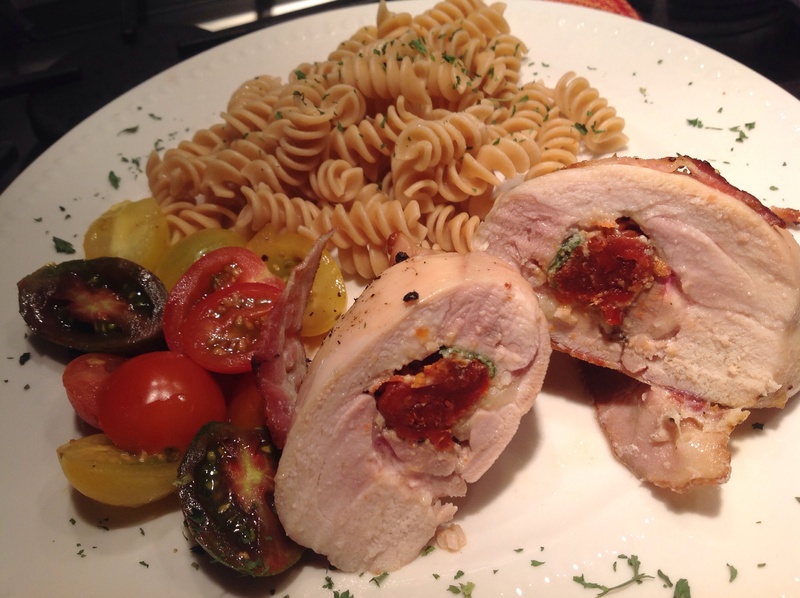 Adding whole wheat rotini and a side of heirloom cherry tomatoes balanced this Italian inspired meal. It sure wasn’t Asheville, but it was pretty good! 2) Line a baking sheet with foil. Lay down the 9 bacon strips. I partially cooked the bacon so it would end up crispy on the chicken. 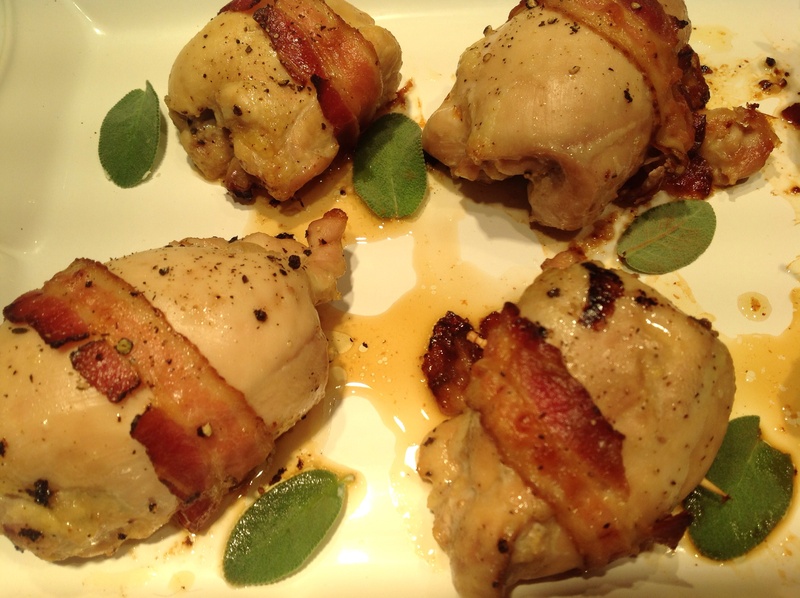 On top of each bacon strip, crosswise, lay the flattened chicken thighs. Season generously with sea salt and freshly ground pepper to taste. 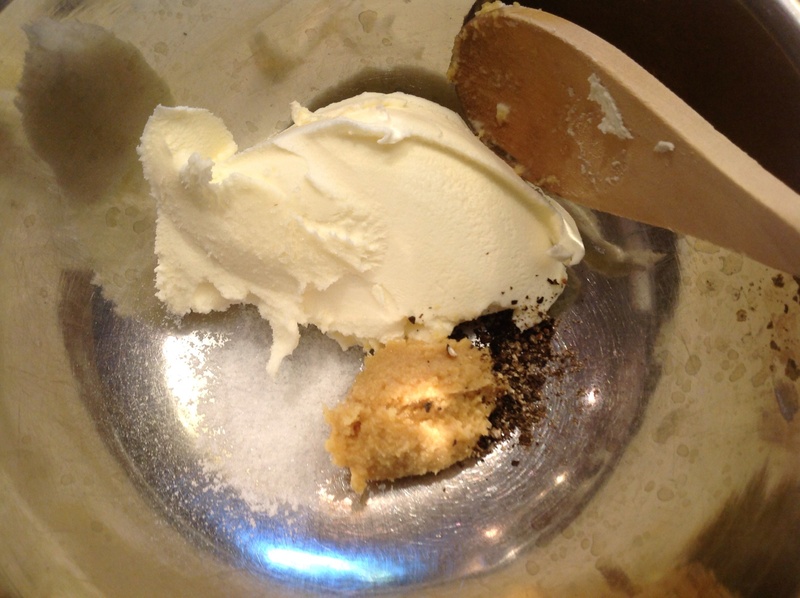 3) In a small bowl mix the mascarpone with the garlic, 1 t sea salt and 1/2 t pepper. 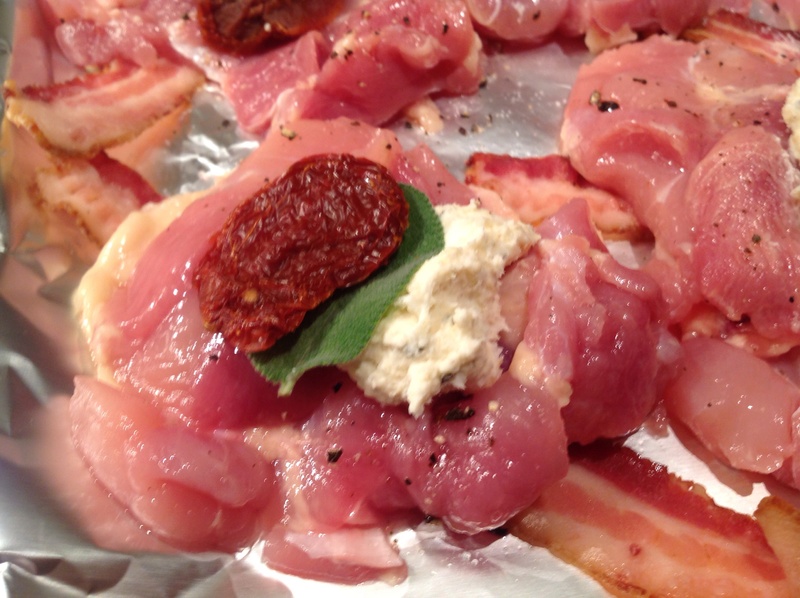 4) In the center of each thigh, place a teaspoon of the seasoned cheese, 1 sage leaf and one sundried tomato half. 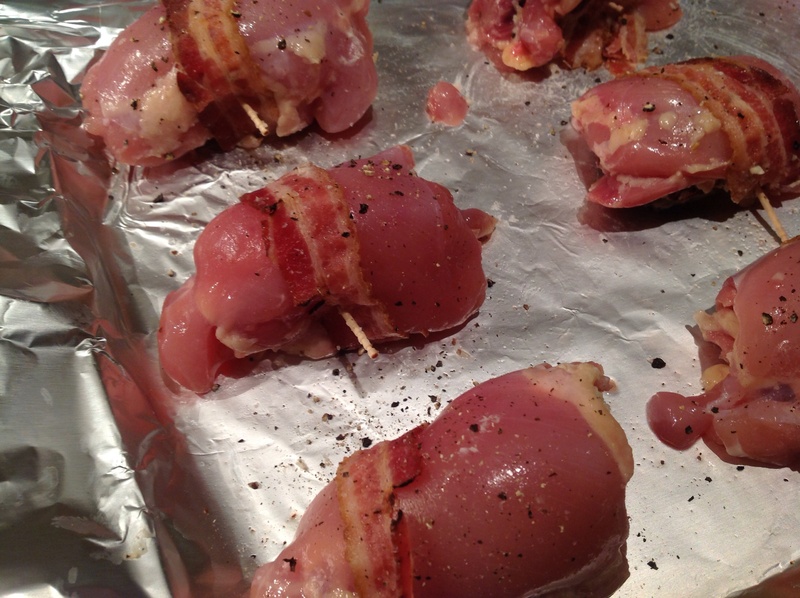 Starting at one end, roll the chicken into a bundle with the bacon on the outside. Secure with a toothpick and place seam down on the prepared baking sheet. Season with additional salt and pepper. 5) Roast on the lower rack of the oven for 20 minutes. Add a side of pasta and a fresh tomatoe salad and you have a quick dinner good enough for company! 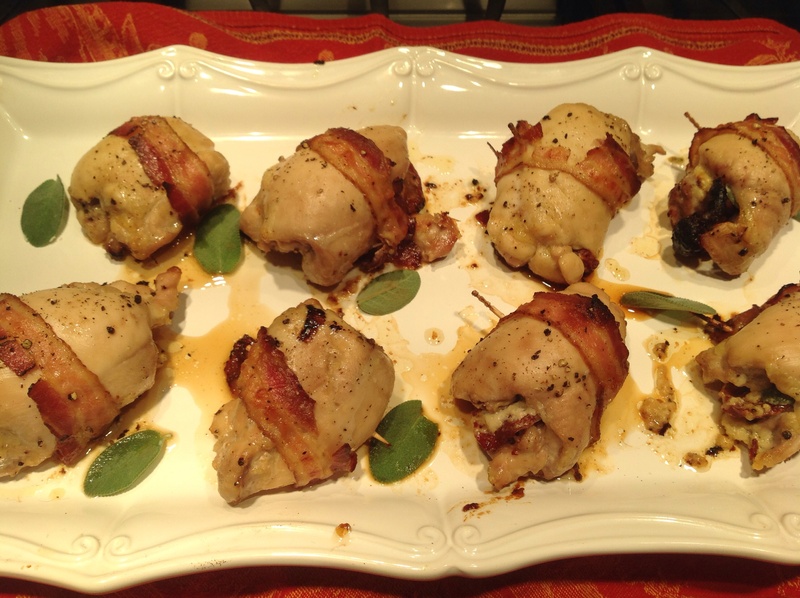 This entry was posted in Recipes and tagged Stuffed chicken thighs, Sundried tomato mascarpone cheese stuffed chicken thighs by Johanne Lamarche. Bookmark the permalink. This sounds really delicious Johanne! I love this type of creative cooking – seeing what’s in and making something wonderful with it! Thank you for bringing this to the party – Happy Fiesta Friday!! What a beautiful dish! I would never have thought to use mascarpone. Necessity is the mother of invention! It was delicious in this dish. Thanks for stopping by. They were Michelle:) thanks for stopping by. 🙂 Yes please, asap! LOVE mascarpone. Thanks for sharing! I am a recent convert to mascarpone and love it too! The other half of this tub went into the pumpkin sausage rigatoni I posted before this. It was an interesting way to sneak it into another dish! Thanks for visiting, Mandi!